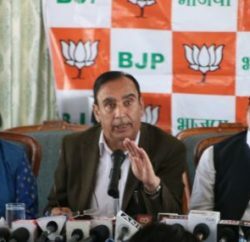 The absence of two anti-Dhumal Cabinet ministers – Ramesh Dhawala and Kishan Kapur – Kangra MP Rajan Sushant, four BJP MLAs and 10 other dissidents, who have united under the banner of the Bhrashtachar Mukti Morcha (BMM), has brought bad news for the state BJP ahead of 2012, when the state is likely to go to the Assembly poll. 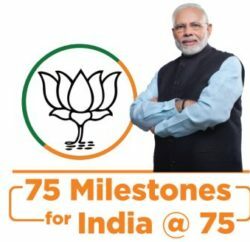 Though the BJP has tried to play down the absence of the BJP dissidents, party workers have expressed concern over it, saying that bad days lie ahead for the party in 2012 as voices of revolt are becoming shriller by the day. Most of those who were absent at the BJP rally at Dhalpur Maidan, organised on the successful completion of fours years in office by the Dhumal government, belong to the Shanta Kumar faction. Their absence assumes political significance as BJP dissidents, including members of the BMM and its convener Maheshwar Singh, had met party chief Nitin Gadkari in New Delhi against the functioning of the Dhumal government. Interestingly, Shanta Kumar, who is the BJP national vice-president, attended the rally, but he focused his speech on 1977 and 1990, when he was the Chief Minister. “Good governance and development should not smack of corruption,” he said in his speech. This statement had sent confusing signals among party men and the Sangh Parivar at a time when the BJP dissidents had raised a banner of revolt, said a party worker on the sidelines of the rally. BMM spokesperson Mohinder Sofat said they had nothing to do with the rally as they had not been contacted by the party. “We have covered nine districts and have constituted a 42-member state executive and will chalk out our future agenda,” he said. 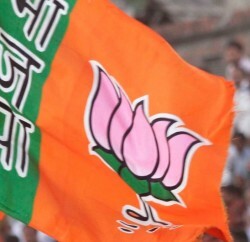 State BJP president Khimi Ram said the two ministers could not attend the rally as they were busy elsewhere and had informed him about their inability to attend the rally.